With 2016 marking the second year of all-white Oscar nominations, the Academy has been forced to make some major changes. In fact, the Board released a statement on Friday saying they passed a sweeping vote to ensure historic measures are taken…starting now. As of Thursday night, lifetime voting rights were reframed and limited to only those who have been active in the film industry over the last 10 years. Three new governor seats were also added, which will be elected by the president, and committees were restructured to support that. All of these measures have been taken by The Board of Governors with a goal of doubling the number of women and diverse members of the Academy by 2020. "The Academy is going to lead and not wait for the industry to catch up," said Academy President Cheryl Boone Isaacs along with the statement. "These new measures regarding governance and voting will have an immediate impact and begin the process of significantly changing our membership composition." William H. Macy: "Good for them. 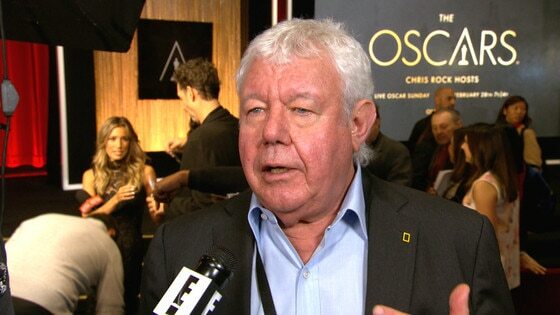 Good for them," he told Us Weekly regarding those who will boycott this year's Oscars. "Talk about putting your money where your mouth is. It's not right. Someone's gotta say it. They said it. I applaud them." Viola Davis: "How many black films are being produced every year? How are they being distributed? The films that are being made, are the big-time producers thinking outside of the box in terms of how to cast the role?" She questioned while speaking to ET Online. "Can you cast a black woman in that role? Can you cast a black man in that role?" She added, "You can change the Academy, but if there are no black films being produced, what is there to vote for?" Charlotte Rampling: "One can never really know, but perhaps the black actors did not deserve to make the final list," she told radio network Europe 1, speaking in French and translated by The Guardian. She also doesn't agree with having a quota system to increase diversity: "Why classify people? These days everyone is more or less accepted…People will always say: 'Him, he's less handsome'; 'Him, he's too black'; 'He is too white. '...But do we have to take from this that there should be lots of minorities everywhere?" She later told CBS News, ""I regret that my comments could have been misinterpreted this week in my interview with Europe 1 Radio. I simply meant to say that in an ideal world every performance will be given equal opportunities for consideration. I am very honored to be included in this year's wonderful group of nominated actors and actresses." Steve Harvey: "I respect the boycott," he said while being honored at the National Association of Television Program Executives before addressing the lack of black people in the nominations. "Nobody? I mean that's really, really weird. You look at the films and you come away with nobody? That's... that's kind of crazy." He also told Access Hollywood he's glad Chris Rock will continue to host the show. "Chris Rock will be the best thing for the movement for the Oscars, than even the people not showing up. Trust and believe, Chris Rock is too smart and courageous of a guy, and I think he should host the Oscars." George Clooney: "If you think back 10 years ago, the Academy was doing a better job. Think about how many more African Americans were nominated. I would also make the argument, I don't think it's a problem of who you're picking as much as it is: How many options are available to minorities in film, particularly in quality films?" He told Variety. "I think we have a lot of points we need to come to terms with…We should have been paying attention long before this. I think that African Americans have a real fair point that the industry isn't representing them well enough. I think that's absolutely true." Mark Ruffalo: "I do support the Oscar Ban movement's position that the nominations do not reflect the diversity of our community," he tweeted. "The Oscar Ban movement reflects a larger discussion about racism in the criminal justice system…I hope the Oscar Ban movement opens the way for my peers to open their hearts to the #BlackLivesMatter movement as well." Julie Delpy: "Two years ago, I said something about the Academy being very white male, which is the reality, and I was slashed to pieces by the media," she told TheWrap. "It's funny — women can't talk. I sometimes wish I were African American because people don't bash them afterward." Ice Cube: "We don't do movies for the industry," he said during an interview on The Graham Norton Show. "We do movies for the fans, for the people." Marlon Wayans: "We should have a sit-down with the Academy, but we should also have a sit-down with the film studios because we're not getting the budgets that we need to get that kind of consideration. Look, The Revenant was made for a lot of money. The bear alone was $100 million. And I'm sure the Oscars are going, 'What are you angry about? The black bear was awesome in The Revenant!'" Michael Caine: "I think, in the end, you can't just vote for an actor because he's black," said on BBC Radio 4. "You can't just say, 'I'm going to vote for him, he's not very good, but he's black, I'll vote for him.' You've got to give a good performance." Quincy Jones: "There's two ways to [protest] it," he said at the National Association of Television Program Executives conference. "You can boycott it or you can solve it and fix it. It's frightening to see [nominees] 90% white and 80% white males. It's ridiculous. It's wrong." Ava DuVernay: "Marginalized artists have advocated for Academy change for DECADES. Actual campaigns. Calls voiced FROM THE STAGE. Deaf ears. Closed minds," she tweeted. "Whether it's shame, true feelings, or being dragged kicking + screaming, just get it done. Because the alternative isn't pretty."